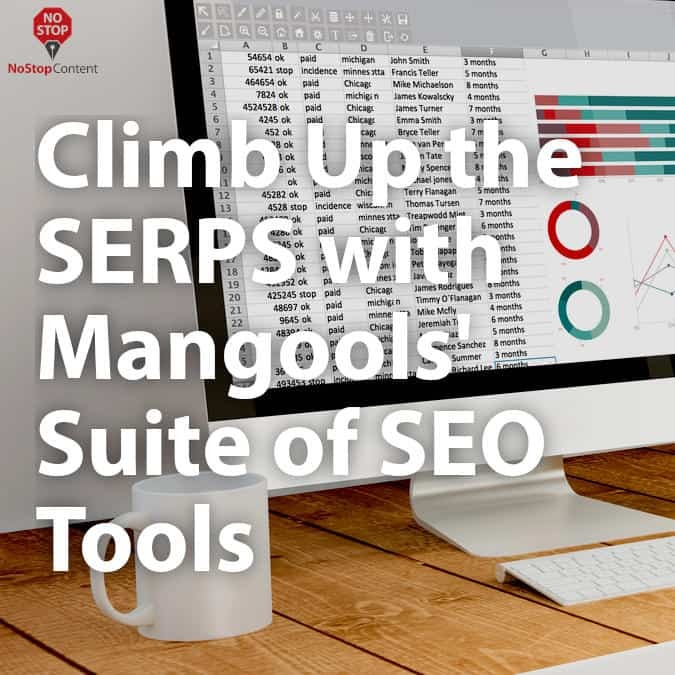 If you’re looking for a highly-developed suite of SEO tools that won’t leave you hanging, Mangools might be an excellent choice for you. Mangools is an online services company that focuses on search engine optimization tools for organizations looking to improve their marketing reach by boosting their search engine result page ranking. Mangools provides these services with its proprietary toolset, developed in-house, offering keyword research, analysis of search engine results, rank tracking, and analysis of backlink efficiency. All tools are offered on a monthly subscription fee basis. Mangools also offers an affiliate program that encourages others to market its tools to others in exchange for a commission. Rates are 30% on all subscription fees paid by a referred user. Minimum payout for affiliates is $150, and Mangools offers support to its affiliates in the form of marketing materials. 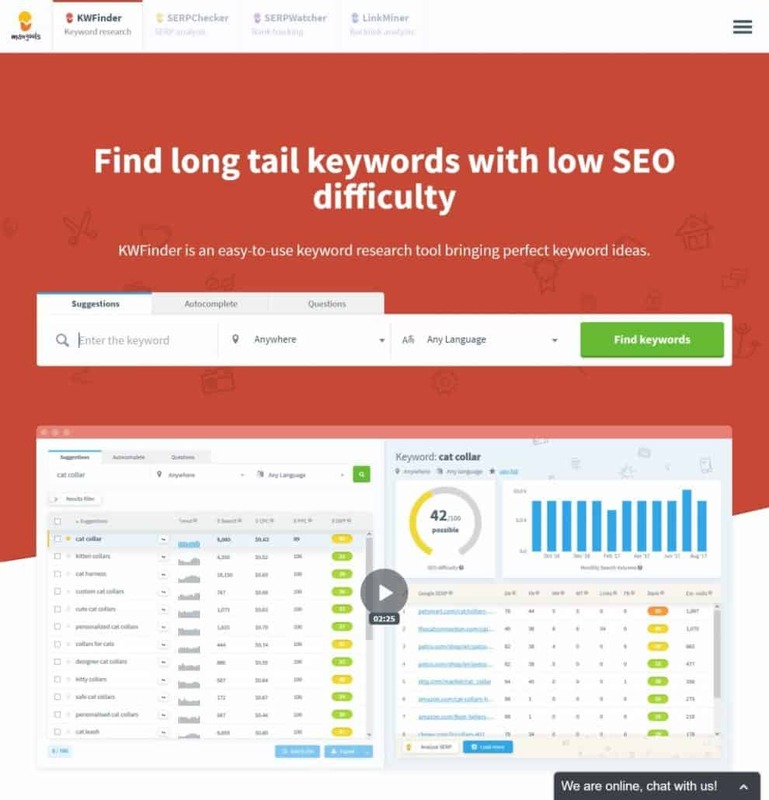 KWFinder: The first tool developed by Mangools, KWFinder is a keyword research tool that is ideal for finding long-tail keywords focusing on low SEO difficulty and ease of use. KWFinder is geared towards finding profitable ranked keywords to use in keyword research. Featuring a single-click but expandable design and making use of real-time results, KWFinder provides immediate Google search result analysis. SERPChecker: A Google search engine result page analysis tool, SERPChecker uses more than 45 SEO metrics to provide localized results to the user. Using the tool makes it easy to conduct SERP competitor analysis by providing data on organic search results, clearly delineating the strengths and weaknesses of your competitors in an easy-to-understand format. 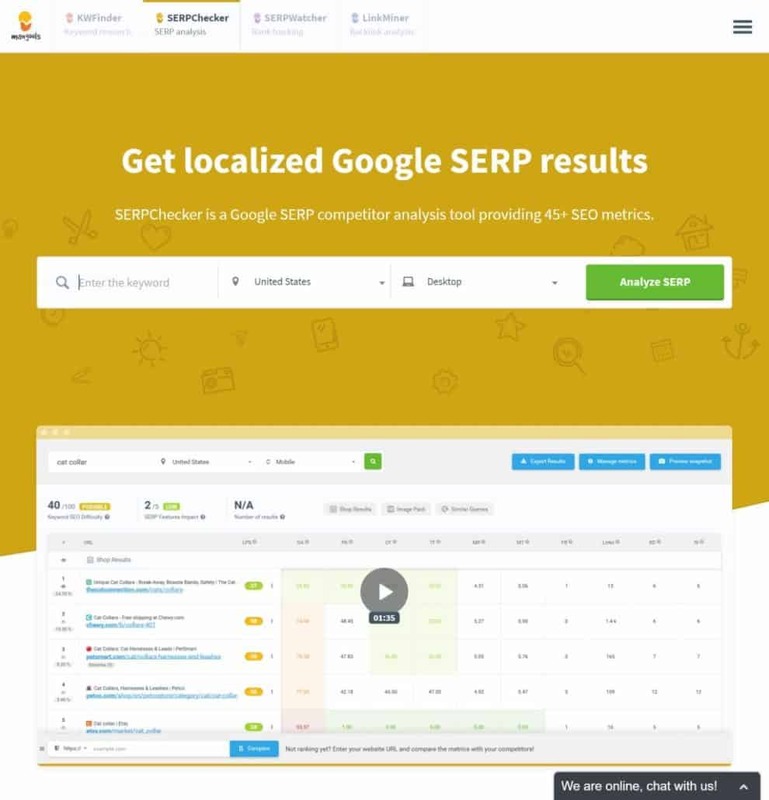 SERPChecker also features segmentation between local, mobile, and desktop results, making it easy to optimize your results for your chosen platform. 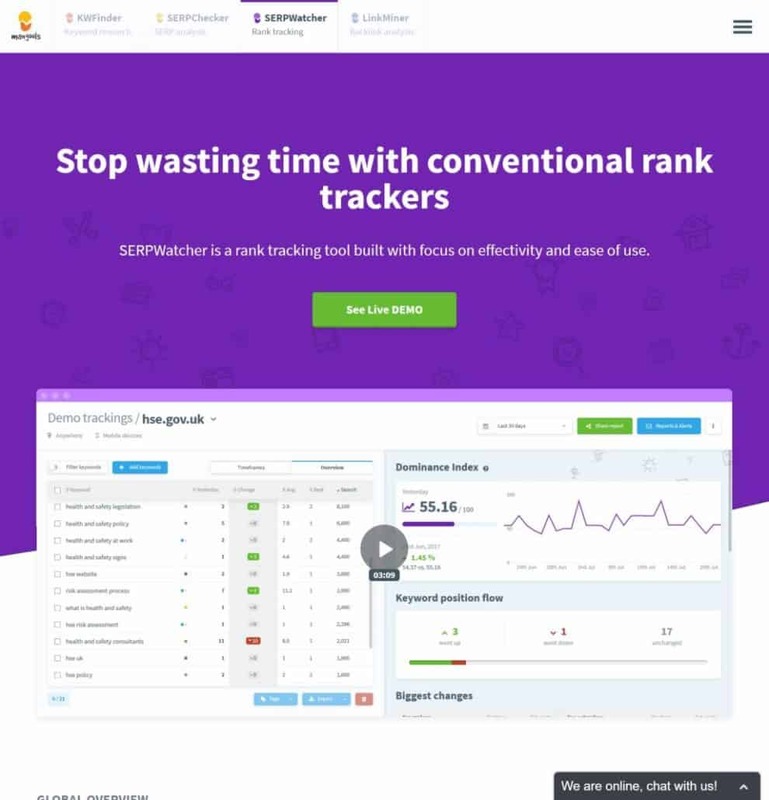 SERPWatcher: A rank-tracking tool, SERPWatcher was built from the ground up with ease of use and effectiveness in mind. A global overview provides a one-screen solution for tracking overall progress, using metrics that focus on estimated visits and keyword positions, while additional features include up to a year’s worth of data on daily position changes and full, native integration with Mangools’ KWFinder tool as well. 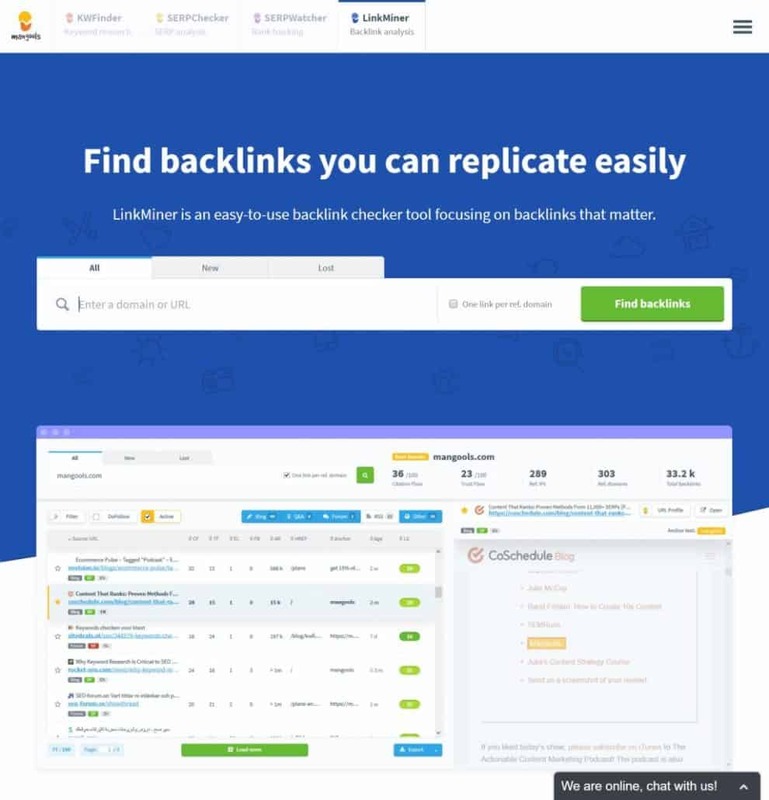 LinkMiner: A backlink-checking tool that focuses on backlinks with authority and weight, LinkMiner makes it easy to evaluate link strength with a number of metrics that include do follow vs. do not follow, citation flow, trust flow, and others. LinkMiner has an embedded preview pane for direct backlink content viewing and link placement highlighting the ability to save website URLs with high potential for backlinks for later, and a number of categorized content filters. In addition to the core features of the Mangools toolset, the company has also expanded its offerings to include API access for specific tools. There is an API for both the KWFinder and the SERPChecker tool, providing opportunities to extract search volumes, SEO difficulty stores, related keyword suggestions, and additional metrics from both. Mangools developed its API in order to provide support for high-priority requests and to process a heightened number of keywords per request. Data contained within the API includes more than 45 SEO metrics from Majestic and Moz for every possible URL, bulk checking of SEO difficulties for keywords, expedited access to long tail keyword suggestions, and bulk keyword search volumes. Private API access is granted individually. Documentation and pricing for this service requires contacting Mangools directly through the web form on the company website. Mangools also offers custom data exports by request as well. $49 monthly or $358.80 a year. 100 daily keyword searches and SERP lookups, 200 tracked keywords, 2000 daily backlink rows. 1 account login. $69 monthly or $478.80 a year. 500 daily keyword searches and SERP lookups, 700 tracked keywords, 7000 daily backlink rows. 3 account logins. $129 monthly or $958.80 a year. 1200 daily keyword searches and SERP lookups, 1500 tracked keywords, 15,000 daily backlink rows. 10 account logins. Payment is accepted either through debit/credit card or PayPal. Mangools also offers a cryptocurrency payment option, as it accepts Bitcoin payments as well. There is also one free-to-use tool that Mangools offers. Its SERP Volatility index provides data on both desktop and mobile searches, acting as an early-warning system for volatility caused by Google algorithm updates. Data sets include a general volatility index, desktop vs mobile, the percentage of keywords with changed positions, and the percentage change of keywords in top positions. Part 1: SEO Basics covers the definition of search engine optimization, why SEO is important, methods for implementing SEO strategies, and a general glossary of SEO terms. Part 2: Search Engines provides an explanation of how search engines function from crawlers to indexers to result pickers. This lesson covers the factors that go into ranking websites, a primer on how people tend to use search engines, classifications, and the difference between ranking first place versus just on the first page. Part 3: On-Page and Technical SEO covers the importance of meta tags and how to use common on-page SEO tools such as the WordPress Yoast plug-in. An on-page SEO checklist is provided, offering tips on what a site’s technical SEO should contain such as SEO-friendly URLs, outbound and internal linking, and other important strategies. 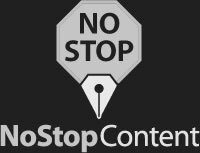 Part 4: Content & SEO discusses how the content of your website needs to be original, engaging, and thought-provoking in order to entertain and inform your site visitors. The importance of having high-quality content is underlined through the lens of how good content dovetails with SEO. The types of most engaging content, from blogs to reviews and beyond, is also discussed. Part 5: Keyword Research showcases the importance of keywords in funnelling the traffic you’re looking for towards your page. This chapter goes over how Google has changed and evolved its approach to keywords, the algorithms at play, the importance of keyword optimization versus user engagement, and common pitfalls to avoid in your keyword research efforts. Part 6: Link Building describes how challenging and crucial the process is for building SERP ranking. The differences between internal and external links are discussed, as are the importance between no follow links and do follow links, anchor text, and other quality aspect metrics for site links. Best practices are also discussed. Part 7: UX and SEO explores how user experience (UX) design and SEO go hand-in-hand when it comes to boosting search engine results ranking. With modern search engines using algorithms that take UX design into account, it’s important to marry UX and SEO together in ways that support each other, and this chapter provides detailed information on how this process is accomplished and how success is measured. Part 8: SEO Test is an interactive test that provides feedback on all a student has learned while going through the last seven chapters. A multiple-choice test with 17 different questions, this pass/fail test provides test-takers with the opportunity to download and print out a customized certificate for completing Mangools’ SEO Academy. Finally, Mangools offers additional free content in the form of detailed user guides on each of the tools it offers for subscription-based access. There is a separate guide for each tool, covering the basics as well as intermediate and advanced functionalities. Located in the city of Bratislava, the capital of Slovakia, Mangools was founded in 2014 by Peter Hrbacik. 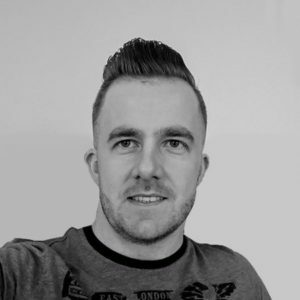 An experienced web developer with several years of experience under his belt, Hrbacik launched Mangools and saw early success with client projects and the first of its SEO tools. Thanks to its early success, Mangools grew to include Photoshop expert Frantisek Vrab, frontend developer Martin Toma, and online marketing expert Maros Kortis. 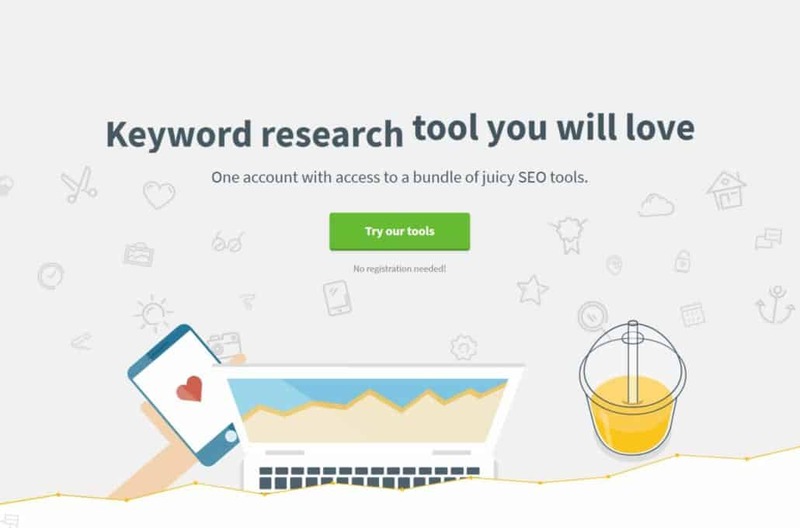 Mangools’ SEO toolset grew exponentially as a result, earning it accolades from a number of different industry sources such as PC Magazine, HubSpot, SEMRush, and others.